Josh Miller is a fast-rising Nashville songwriter who has co-written three country hit singles in the past year. Last year (in 2017), he had his first hit, co-writing “More Girls Like You” for Kip Moore. And currently, Miller has another single moving up the charts, co-writing “Take Back Home Girl” for Chris Lane featuring Tori Kelly. Notwithstanding the success of these two hits, Miller is becoming best known for co-writing one of the biggest hits of the year: “Meant to Be” by Bebe Rexha featuring Florida Georgia Line. This single has been #1 on the Billboard Hot Country Songs chart for a massive 50 weeks (breaking the all-time record), and it has crossed over to the pop chart, reaching #2 on the Billboard Hot 100. “Meant to Be” has also become an international hit, charting in over 20 countries including the United Kingdom, Germany, Australia, Canada, Israel, Netherlands, Greece, Philippines and Sweden. 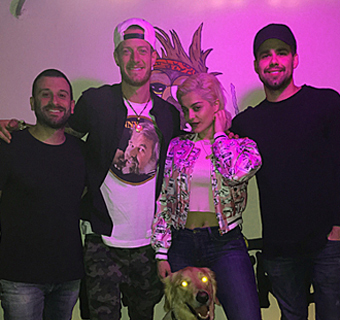 Miller co-wrote “Meant to Be” with Rexha, Tyler Hubbard of Florida Georgia Line and David Garcia. They wrote this song in April 2017 when Miller, Hubbard and Garcia were on a writing trip to Los Angeles. “Meant to Be” was first released last August on Rexha’s EP All Your Fault Pt. 2, and the single began moving up the charts after its release last fall. Born and raised in Jackson, Tennessee (which is between Memphis and Nashville), Miller moved to Nashville in 2011 after graduating from college in Jackson. He had a corporate sales job for a few years, before signing a music publishing deal in 2016 with Cornman Music (owned by hit songwriter Brett James), which has a joint venture with Warner/Chappell Music. He works closely with Nate Lowery, who is General Manager/VP Creative at Cornman Music. In addition to the hit songs he’s co-written, Miller has had cuts with Thomas Rhett, Jake Owen, Chase Rice, Dylan Schneider and Mat Kearney. He also has a variety of other cuts coming out this year. We are pleased to do this new Q&A interview with Josh Miller. He tells how he got started as a songwriter, and how he co-wrote “Meant to Be” and his other hit songs. 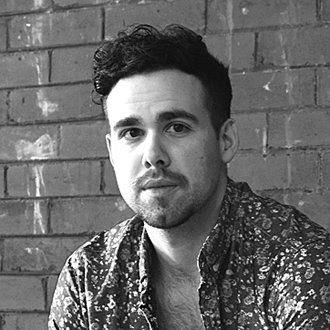 Josh Miller: I was born and raised in Jackson, Tennessee—it’s a little bit closer to Memphis than it is to Nashville. I always enjoyed music and singing, but to be honest, I was really into baseball. I played baseball year-round and I went to college to play ball (at Union University in Jackson). After I quit baseball in college, I got an Apple MacBook laptop and discovered the free Garageband software. I had friends that made beats, and they would send me beats, and then I just started making up songs and singing them into my laptop. I also had some fraternity brothers that knew how to play guitar and piano, so we started doing some covers and making up songs. DK: Do you play guitar or piano now? Miller: Yeah, I learned how to play a little keyboards and piano, and when I moved to Nashville I bought my first guitar. I had graduated from Union University with a degree in business management, and I accepted a sales position here with a company. It was a corporate sales gig, selling environmental health and safety software. DK: When you moved to Nashville and took a sales job, did you know you wanted to pursue a music career in Nashville? Miller: Honestly at that point, I didn’t really understand and know what (the business of) songwriting was. I just knew that it was time to leave Jackson, and I wanted to be closer to music…to the creative people and creative energy here. The job I had was good, doing computer software sales. It was good money and benefits. I worked there for four years, but I also started to make music connections, whether at writers’ rounds or at church. I would do my job, and then when I got off work at 5 o’clock, I would go to a buddy’s house or to a studio somewhere, and write a song with friends. Writing songs after work was fun…it was what I wanted to do in my spare time. DK: How did you go from just writing songs at night, to getting a music publishing deal? Miller: Eventually, I had a headhunter reach out to me about a company based out of London, U.K., and they wanted to hire me away. This new job would allow me to work from home, which was good because I was living on Music Row, and that freed me up flexibility-wise. By this point I was writing for a while, and I built up some good songs and demos. I also had some good friends who happened to be in the music industry. They would ask me, “Hey man, do you want a publishing deal? You should start meeting with people and see if it’s something you’re interested in.” So I put my music together and started meeting with everybody I could. Around this time, a VP from the company I was now working for, said all the sales guys would need to come to Atlanta once a week for meetings. And to me, that was kind of God opening up that door and saying, “Alright buddy, it’s time,” because I didn’t want to drive five hours every week to Atlanta and come back to Nashville. So I made a decision to put in my notice. It was that leap of faith moment (to leave the sales job and) go for the publishing deal. Once I made that commitment, I met with (hit songwriter & owner) Brett James and (exec) Nate Lowery of Cornman Music. The day before my last day of work, Brett offered me my first publishing deal, which was pretty cool. I did take some time to meet with other publishers and make sure I made an informed decision. Ultimately, I signed with Cornman and started writing professionally. And it felt so good to be able to devote 100% of my energy to being creative and writing songs. DK: The first hit you co-wrote was “More Girls Like You,” which was with Kip Moore, and I believe Kip is also signed with Cornman Music. Georgia Line), which was co-written by Josh Miller. Miller: Yes, Kip is with Cornman, too. A lot of credit goes to Nate Lowery (at Cornman). Nate was a big champion of me, because I hadn’t quite met Kip…I was brand new to the block. Nate had been hearing my songs, and he was like, “Man, we gotta get you in with Kip to write.” The first time I wrote with Kip was also with (hit songwriter) Troy Verges, and we wrote two songs (“Bittersweet Company” and “Good Thing”) that made his last album. If you know about Kip, he’s his own person…he’s a true artist in every sense of the word. So we had an idea and concept (for a song), but Kip totally just did his thing on it and made it his. He was there from the ground up and he was also very involved in the production of it. DK: You now have a very big hit, “Meant to Be” by Bebe Rexha featuring Florida Georgia Line. How did this song come together? Miller: We wrote that song in L.A. last April (2017). I had connected with Tyler Hubbard (of Florida Georgia Line) and written with him a few times, and we’d become pretty good friends. Then one day I told Tyler about David Garcia, who’s a talented producer & songwriter who’s had a bunch of hits in the Christian world. Garcia joined Tyler and I for a writing session, and we wrote a couple songs and struck up a friendship. It was a really good creative vibe. All of this led to us being like, “Hey, let’s do a trip to LA.—let’s plan a week to write there.” Tyler’s manager Seth England at Big Loud (Publishing & Management) was a great asset on that trip in the planning aspect. Seth lined us up some amazing writes that week with big time artists. So we were out there a whole week writing. We were staying at the Sunset Marquis Hotel and we rented out this nearby studio, NightBird Studio. We were having L.A. artists and writers come to the studio, and we were creating songs every day that week. I think it was on a Thursday evening that we wrote “Meant to Be” with Bebe. We had written a song that day with another artist, and we took a break and went to dinner. And I remember Seth (England) asking, “Do you guys want to write with Bebe Rexha?” And we’re all like, “Yeah, for sure.” We were at dinner, and then we got a text that Bebe’s on her way to the studio. So Garcia takes off for the studio, to be there when she gets there. So we ended up meeting Bebe and talking for a while, and there’s such a good energy and great vibe in the air. Then Garcia starts playing the piano part that opens the song up, and we [focused on] the hook. We talked about [the “meant to be”] concept and how we would want to write it, and what it means. And you know, when you’ve got two talented people like Bebe and Tyler in the room, you just let them go and follow their lead. It was just a total, creative collaboration. It was unscripted and unplanned. Nobody said, “Hey let’s write a duet or let’s write a feature.” But the cool thing about music is, we just got in there and created something we all loved. So it was just an inspiring, fun night. DK: When you’re writing, what do you consider your strength as a songwriter? Is it writing the melody or the lyrics? Miller: I’m not a world class musician. I can play enough guitar or piano to put together a song and get by. But I treat this like a job, and for me a good song usually starts with a great idea. And so I really take pride in thinking of good concepts, good ideas and titles. I’m always typing ideas into my Notes section of my phone. As a songwriter you never turn it off, so literally man, there’s a song in every conversation. So I find myself listening to people talk, and when somebody says a phrase that catches my ear and sounds cool, I’ll put that in my phone. Also, I’ll be sitting and watching Netflix with the subtitles on, just to read the words (laughs). And I’ll see something and go. “Wow that’s cool.” I’m always searching for that concept and idea. I also focus on melody, but a lot of time it’s lyrics or an idea or concept that I try to bring into a write, especially when it’s with an artist. It’s so important to have good ideas. DK: You have another hit on the charts, “Take Back Home Girl” with Chris Lane featuring Tori Kelly. How did you co-write this song? Miller: You’re probably very aware of (hit songwriter) Hillary Lindsey. She’s probably my favorite songwriter in Nashville. Here’s a backstory: Nate (Lowery) had set me up to write with Hillary and Chris DeStefano. For the first time I wrote with them, I did my homework and I wanted to come up with some good ideas. And then that day, I threw out a few titles—one was “Grave” and the other was “Take Back Home Girl.” Then we wrote a song called “Grave” which is on Thomas Rhett’s album. Kelly), which was co-written by Josh Miller. Then a couple weeks later (for a writing session with Lindsey and David Garcia), Hillary remembered the title “Take Back Home Girl.” I had mentioned that I was actually taking my girlfriend back home for the first time, so that’s why I had that title. She asked me, “Hey, have you written ‘Take Back Home Girl’ yet?” I said, “Nope.” So then Hillary picked up a guitar and she closed her eyes, and kind of go somewhere. She started that vibe in the room, just playing some stuff. And we’re like, “Hey that sounds cool, let’s do that.” So Garcia starts building that track and we just write it, and we tapped into (the story about) me taking my girlfriend home. And then Seth (England) and Chris Lane heard that song and loved it, and it ended up with Joey Moi producing it. It sounds amazing. When we wrote this song, we weren’t thinking duet. But usually when I write with Hillary, I tell her she’s got to sing (on the demo) even if I doing the lead vocal. This is because she just sounds so good. I’d say, “I want your voice on it with me.” So she sang the hook with me and some background vocals, and when Seth [and others] heard that, they automatically thought of it being a duet. And luckily, they got one of the best singers in Tori Kelly, to jump on it and do her thing. So that’s how that song came to life.